Although it was fifty-two years ago, it seems like yesterday, when in December 1966, my phone rang. On the other end was Super Stock photo director Leslie Lovett. The first words out of his mouth were, "Hey Kid, I hear you can shoot a pretty good photo." After picking my jaw off the floor I asked why he was calling me. 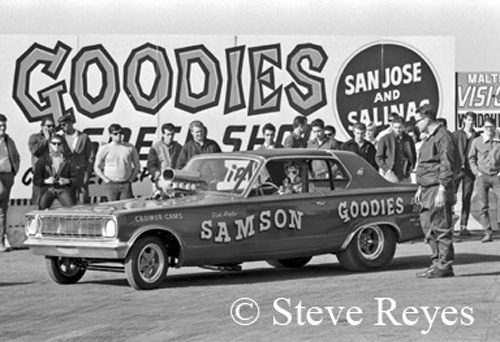 Leslie told how Super Stock had a section in the magazine called "Match Race Madness." It featured high profile funny car match races from all over the USA and that he wanted me to cover the following weekend's match race between Jim Liberman and Gas Ronda at Fremont, California. 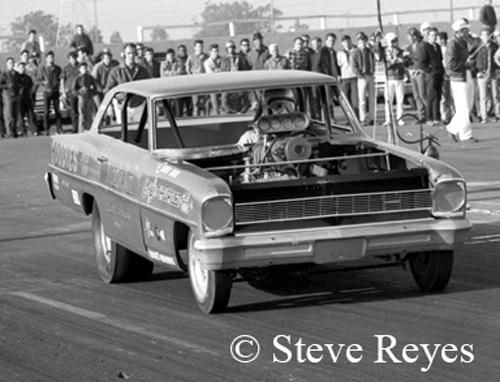 Now I had been published before in Drag News, National Dragster, All American Drags and Drag Racing Magazine; but none of them ever called with an assignment and Super Stock Magazine became my first real assignment as a drag race photographer. Of course, I told Mr. Lovett yes, I would cover the match race for him. Heck, I didn't even discuss money. About all I did prior to the weekend was pray for no rain. It was Northern California in December and rain is very common through out the week and weekend that time of year. 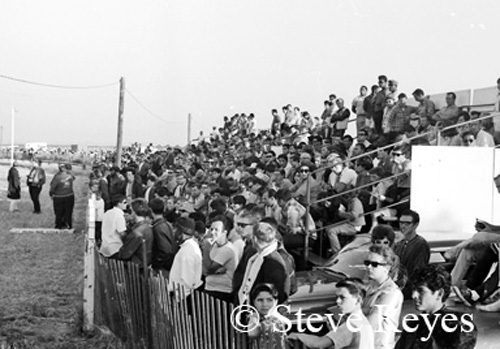 The weekend arrived on Sunday, December 18, 1966, and I got to photograph the Chevy vs. Ford match race under sunny but cool clear skies. Keeping in mind what Lovett had told me, I tried to shoot the event to his specs but I added my own touch to the coverage. After three rounds of head to head racing, I had my coverage and it was off to the dark room for film processing and printing to send ASAP to Super Stock. 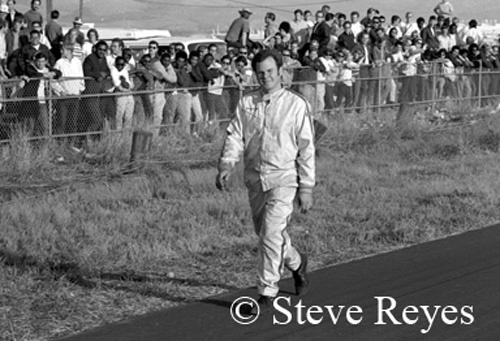 I received a follow-up call from Lovett thanking me for the great coverage and telling me that my photos would be in the March 1967 issue of Super Stock and yep, they were on page 56. Now, I was published in Super Stock and it was with Liberman's first big-time match race. 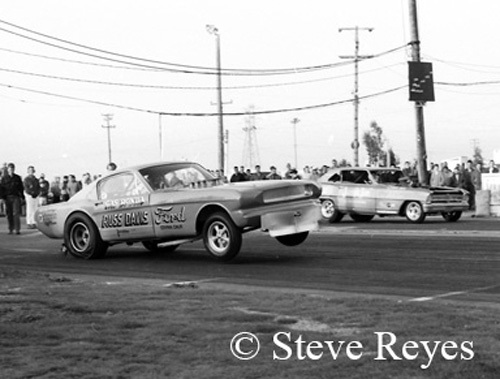 What a way to begin an amazing career photographing drag racing! 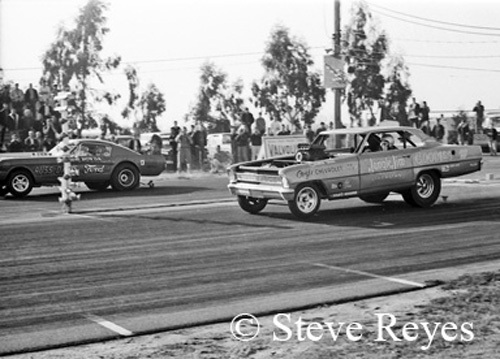 For the first round, Liberman's blown Nova thundered past Ronda's injected Mustang. Liberman recorded a winning 8.98 at 169.54 mph to Ronda's losing 9.17 at 161.25 mph. 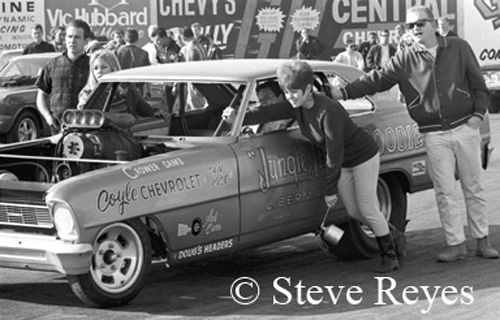 That is Jungle Bobbie helping push the Nova out to the starting line for round one. only and it seemed like the crowd never sat down. A little stroll for local hero Liberman before the match race action. After his little stroll he was all business in his blown nitro burning Nova. to Ronda's winning 8.90. Liberman's 8.71 was the low ET for the day. Cabinet maker Rich Abate brought his Samson funny car out for some test runs. Rich Hammons was at the wheel of the now blown funny car. 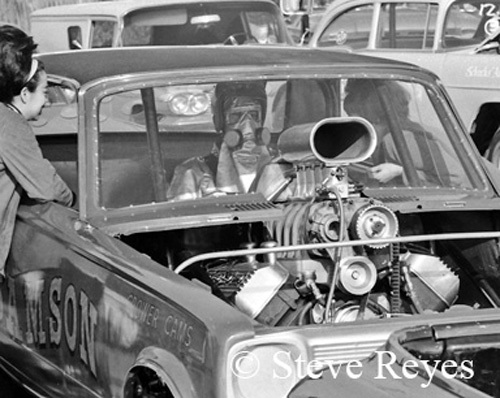 Earlier in the year the car ran injectors on its Hemi engine. 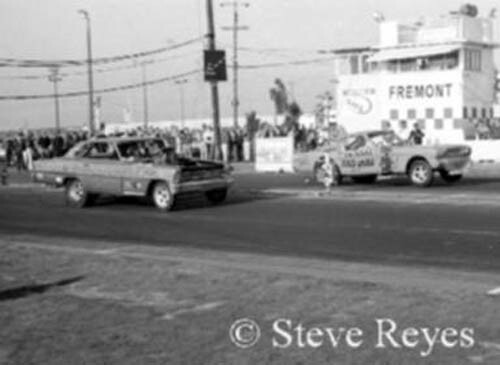 next ten years (1967-1977) of his funny car career.